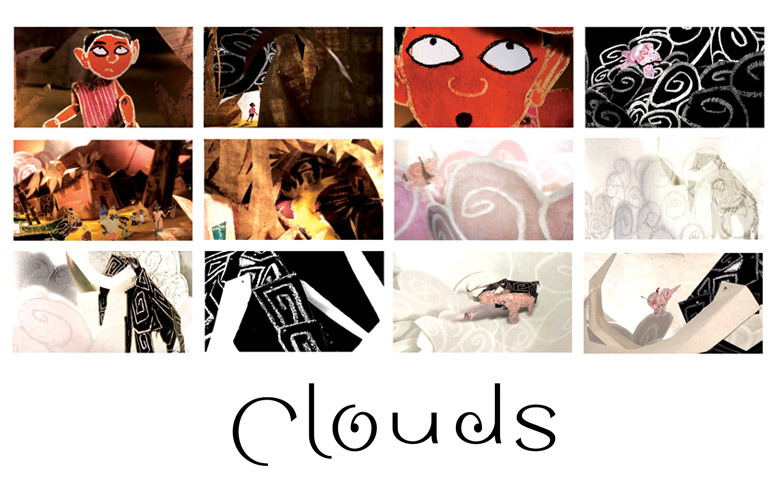 Animated short telling the story of a young boy in India who discovers a family of elephants that live in the clouds and control the weather. He must keep his new friends' secret or witness what happens when the relationship between man and nature is upset by greed. Created with jointed, wax-resist puppets and 3D paper collage sets. and process shots and drawings.